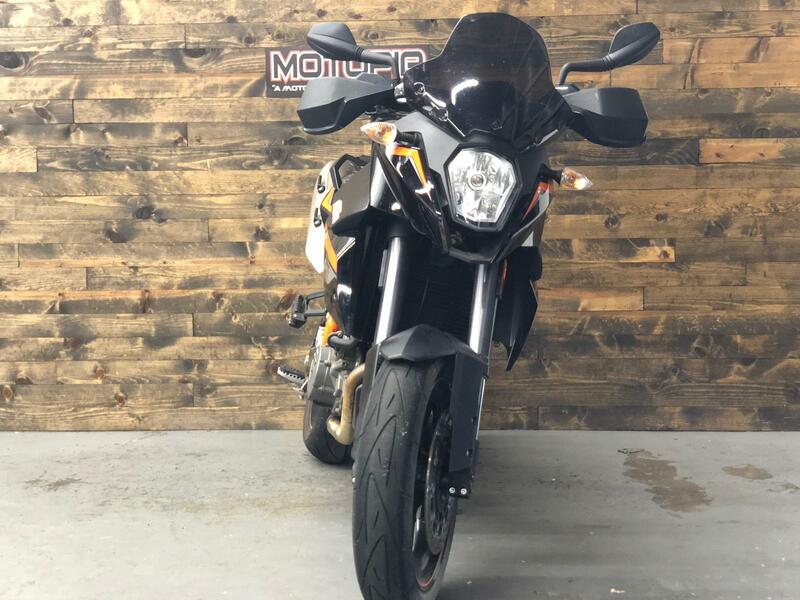 The 2013 KTM 990 SM T unites a sporty, high-precision chassis with a state-of-the-art V2 engine, a frame-anchored fairing, great comfort and a sensitively regulating ABS system. 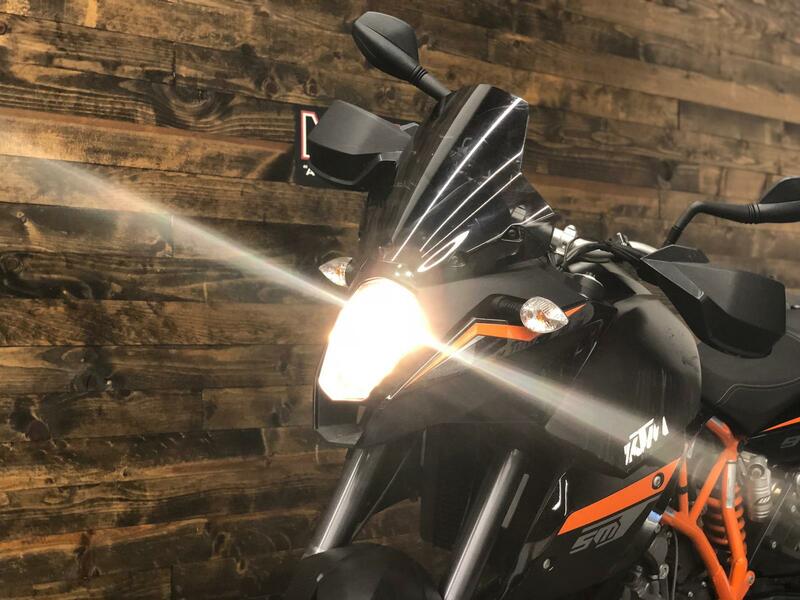 The DOHC twin offers a choice between full-on power for vigorous throttle-twisting or refined power for making progress with ease. 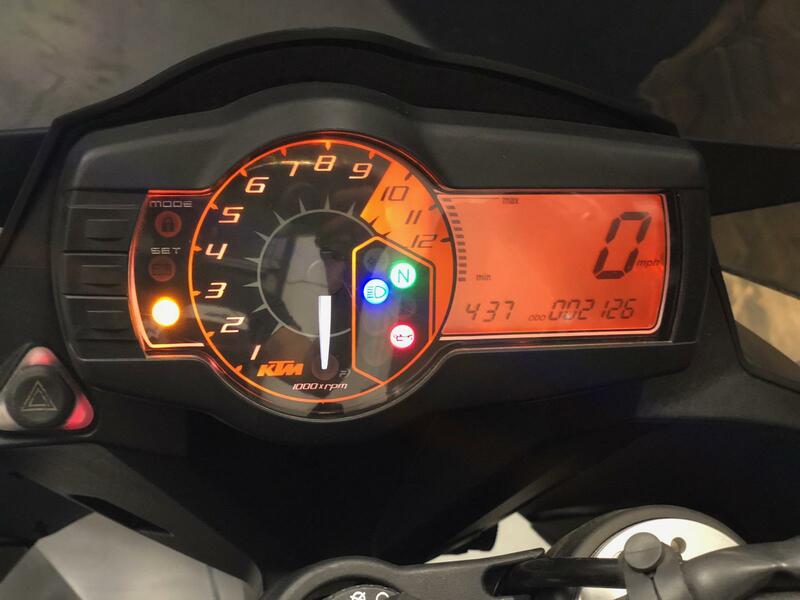 This arrangement has given rise to a unique combination of tourer, racer and city bike. In short: a long-distance Supermoto that combines sports talent with endurance, comfort and suitability for everyday use. Engine: The 990 SM T's water-cooled V-engine with 85 kW (114 hp) sets the benchmark for free-revving twins. Its intelligent design principle with multi-function balancer shaft makes it one of the lightest and most compact V2s in its class. The engine impresses with explosive, spontaneous throttle response. 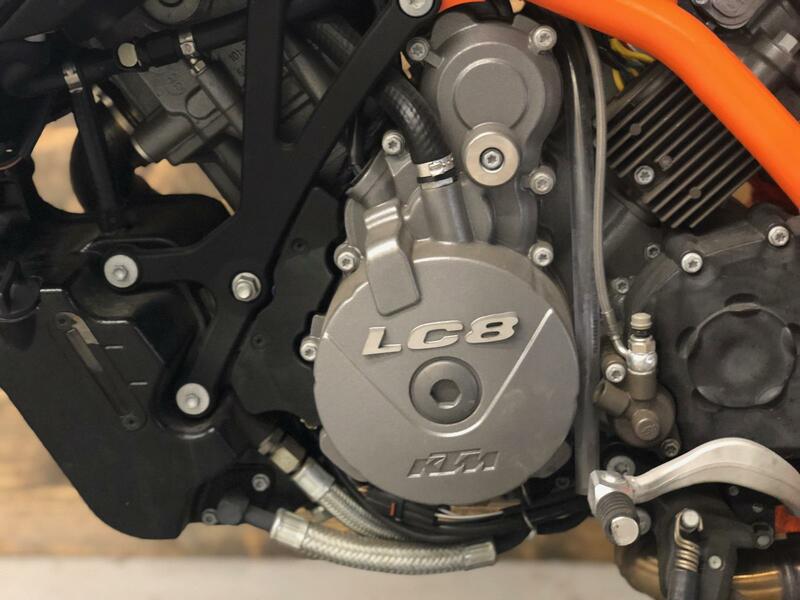 Cylinder Head: Alongside the optimum combustion chamber design, the major factors behind the outstanding performance of the KTM 990 SM T's V-twin with 75° cylinder angle are the state-of-the-art four-valve cylinder heads, each with flow-optimized ducts and two overhead camshafts. 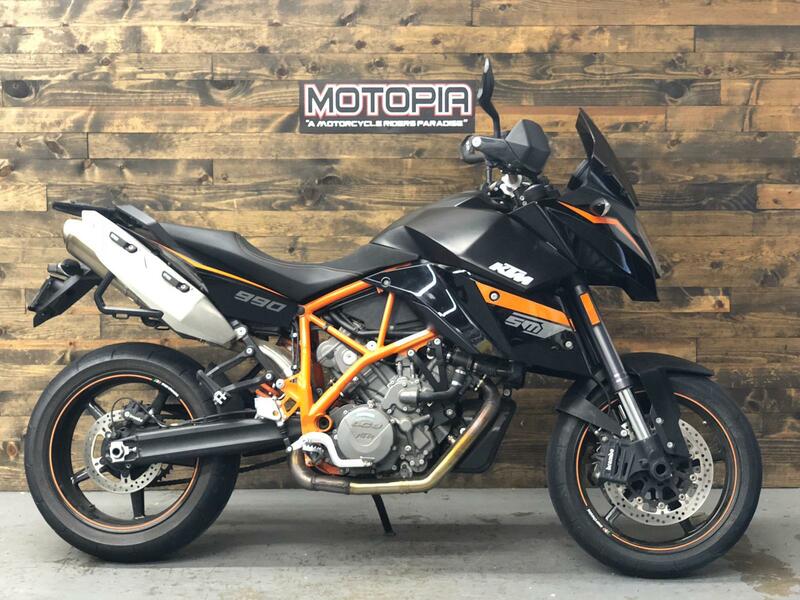 Crank Drive / Pistons: Particularly lightweight pistons and connecting rods bestow the 2013 990 SM T's V2 engine with reduced reciprocating weight and hence with decidedly spontaneous responsiveness, underlining its extremely sporty engine characteristics. 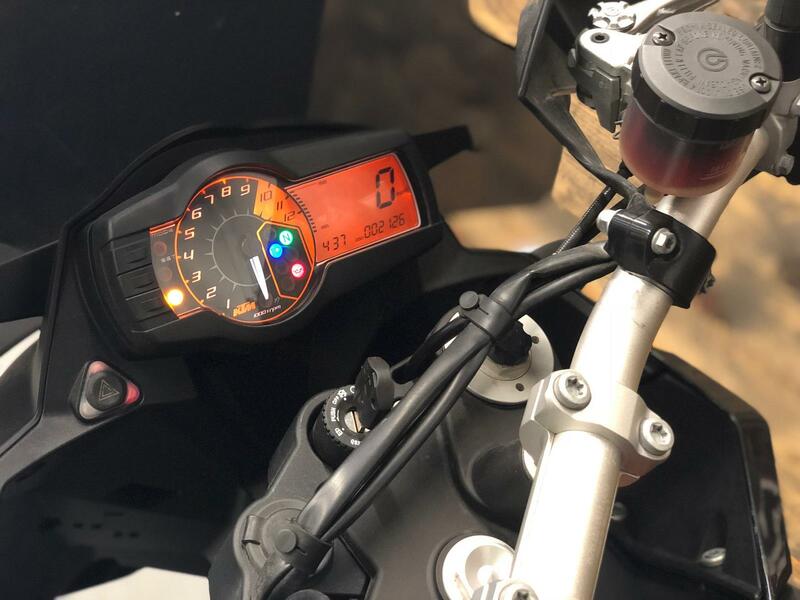 Engine Management: The electronic Keihin engine management system regulates the modern fuel injection system on the 990 SM T, focusing on optimum behavior under partial load and spontaneous responsiveness. 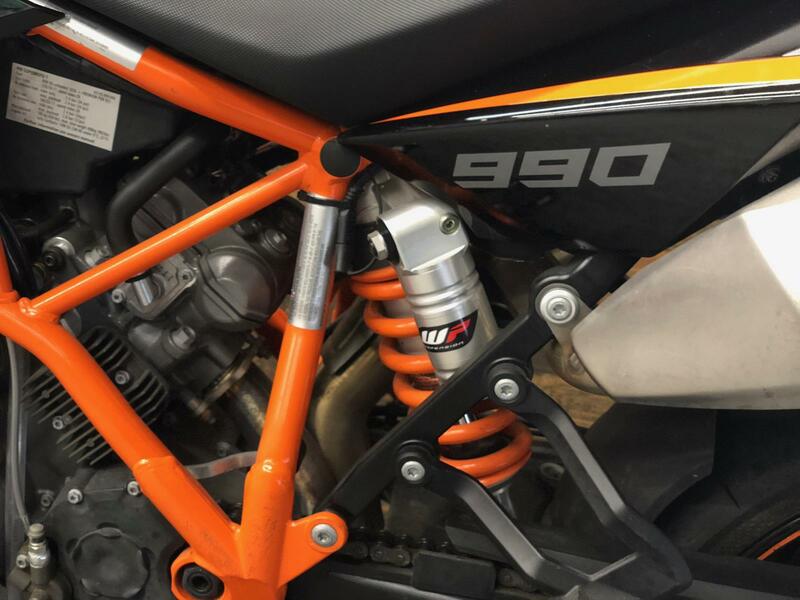 In this way, KTM engineers were able to harmonize raw power with optimum rideability. Frame and Swingarm: The 990 SM T's tubular space frame made from thin-walled chrome-molybdenum steel tubing with a bolted-on, light alloy subframe only weighs 9.5 kg (20.9 lb. ), yet it impresses with exemplary torsional stiffness. The 575 mm (22.64 in) swingarm with conical profiles contributes plenty of mechanical grip. Suspension Components: Thanks to multiple setting options, the upside-down telescopic fork and the directly connected shock absorber from WP Suspension allow optimum adjustment of the chassis to suit the individual operational use of the versatile 990 SM T. For example, the spring preload at the rear can be adapted to the load situation in next to no time with the help of the new preload adjuster from the tool set - solo, two-up, with luggage; always en route with perfect vehicle balance. 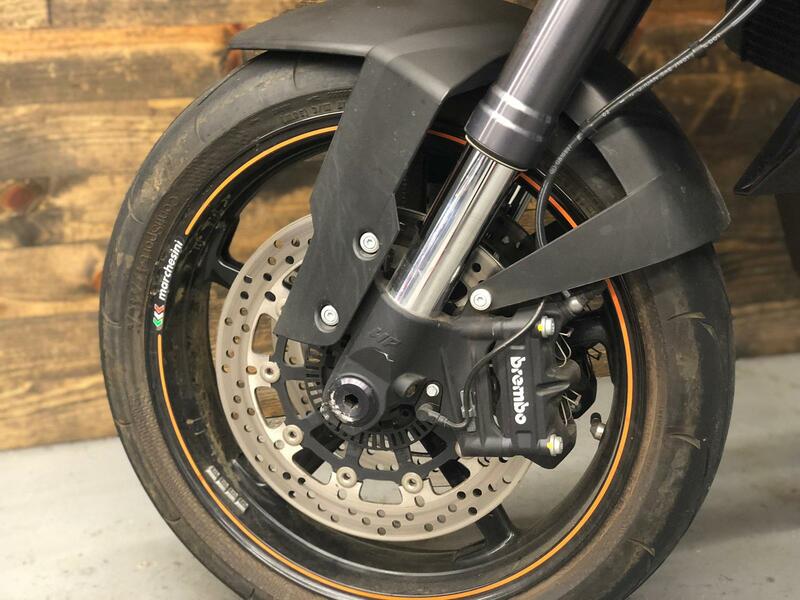 Radial Brake: More than adequate deceleration is ensured on the KTM 990 SM T by Brembo® brakes with the very finest components. 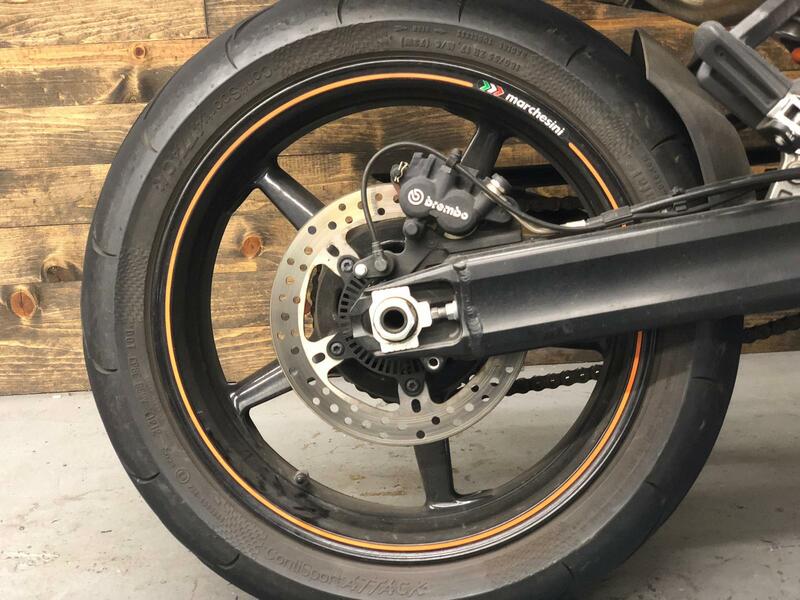 At the front wheel, two radially-mounted four-piston brake calipers bite hard into 320 mm (12.6 in) discs at the command of the radial master cylinder. ABS: The disconnectable dual-circuit ABS system developed in cooperation with Bosch offers excellent protection against over-braking, while maintaining the full effect and perfect feedback of a genuine sports brake thanks to very fine sensors. Weighing no more than 1 kg (2 lb. ), the ABS system therefore allows extremely sporty braking. And sets standards in the prevention of unintentional endos. 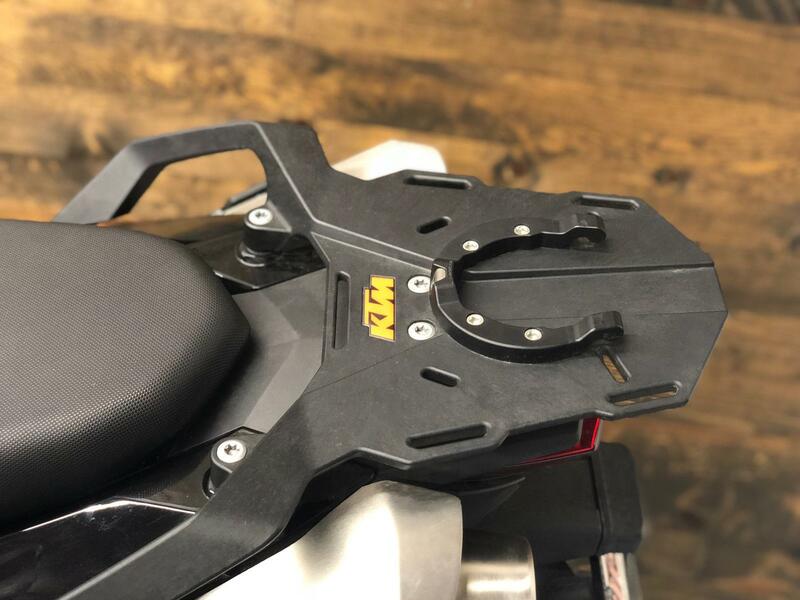 Rear Fender: Thanks to an integrated luggage mounting system, a rear bag and two panniers can be secured to the rear of the KTM 990 SM T - compact and grouped closely to the center of gravity, but with enough stowage space for everything you could possibly need on your travels. Ergonomics: The gathered sitting position behind the tapered, perfectly angled, aluminum handlebar supports relaxed touring equally as well as hitting the gas with commitment. Wind Screen and Large Fuel Tank: The frame-anchored fairing on the 990 SM T provides effective protection from the wind and weather and accommodates a clearly structured multi-function cockpit that supplies the rider with all essential information. The fuel tank with a capacity of 19 l (20 qt.) ensures a long useful working range. 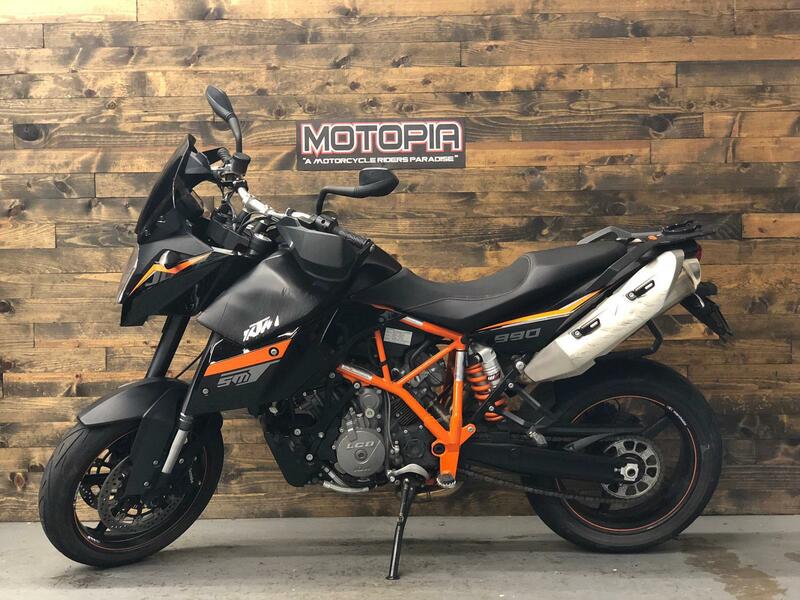 Pillion Comfort: The 2013 KTM 990 SM T's perfectly padded twin-level seat ensures suitable long-distance comfort for both rider and pillion, while also providing freedom of movement and crystal-clear feedback for a sportier pace. X-ring Chain: 5/8 x 5/16 in.